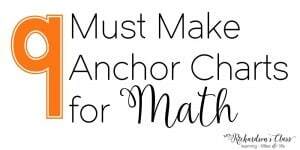 During my time in the classroom, I LOVED making math anchor charts. We would use them all of the time to “anchor our learning”. 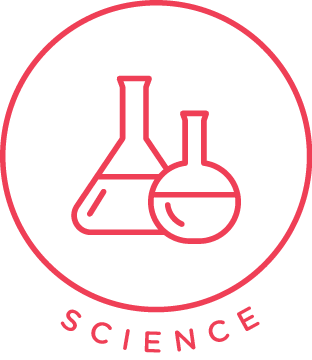 I used them as I introduced topics, as we explored topics, to record our learning, and we always hung them in our classroom to be referenced later. 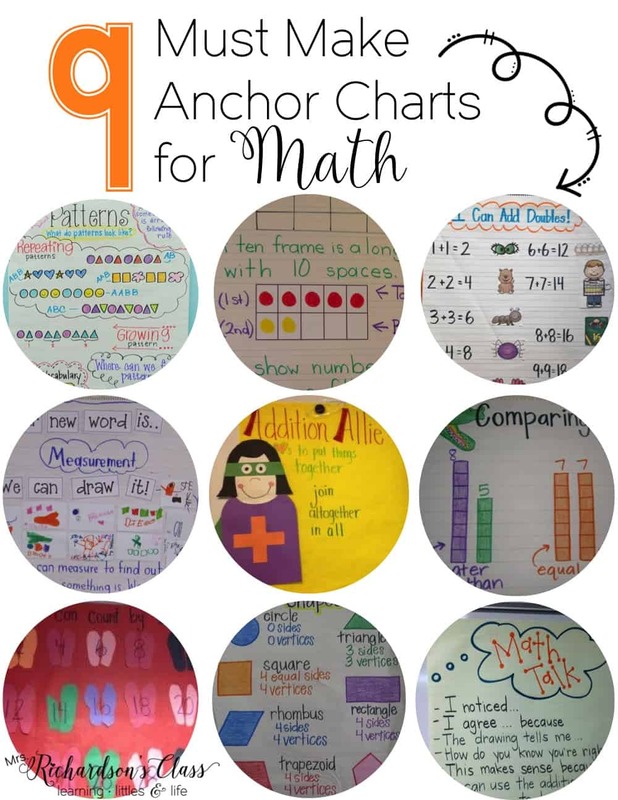 Because I found anchor charts to be an important part of my lessons each week, I wanted to highlight a few of my favorite math anchor charts that I have seen or that I have created in my own classroom! We used to be a lot of time early in the year discussing patterns. 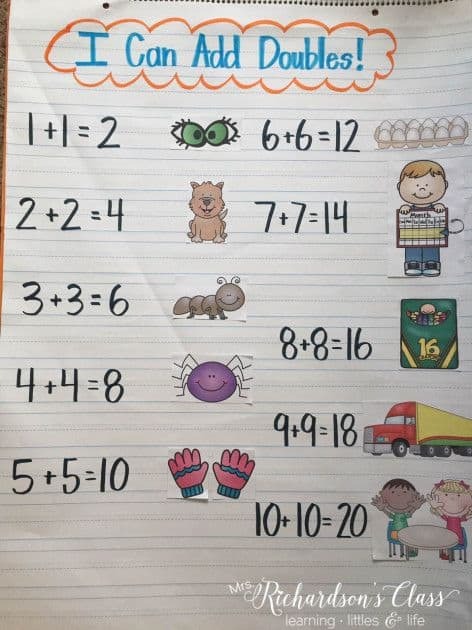 I really like how this anchor chart by The First Grade Parade incorporates repeating patterns, growing patters, vocabulary, and a real world connection at the bottom. 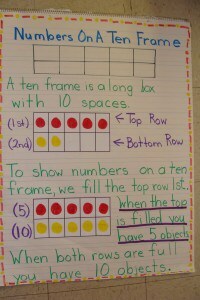 Ten Frames are a now such a common math tool! 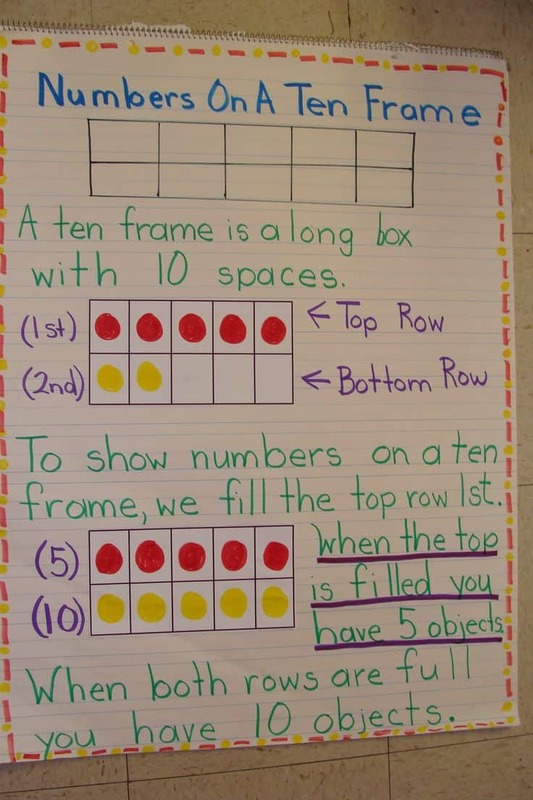 The author of this anchor chart is unknown, but it teaches all of the details of the 10 frame and shows it empty, filled correctly, and full! 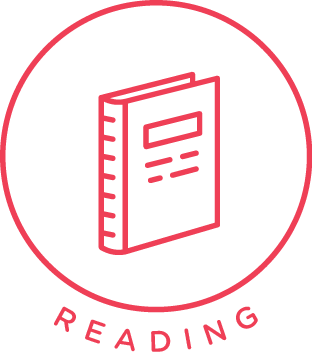 A great anchor for students to refer to later as they become more familiar with this math tool. 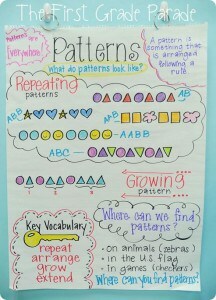 Sandra made this great anchor chart and you can find her HERE on pinterest! Doubles addition is one of those topics in math that visuals really help bring to life! This anchor chart I created helps our little learners see examples of each double fact, along with the math sentence to the left. 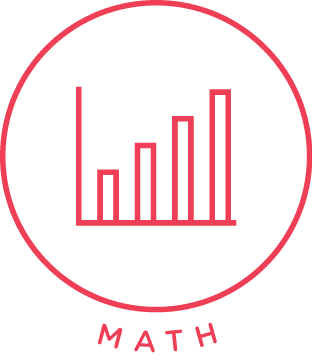 Math vocabulary is crucial in each and every lesson. 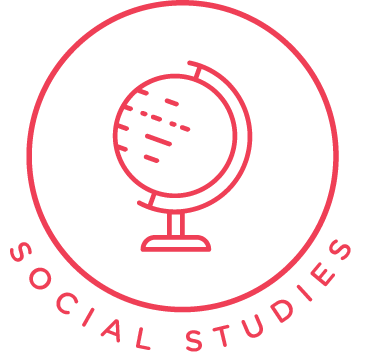 Especially with ELLs in the classroom, featuring the word and having the students interact with the chart by drawing examples is a fabulous idea! I did this often when I taught dual language. 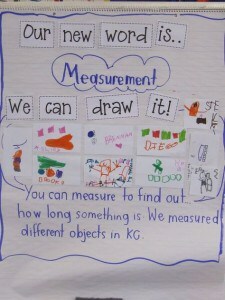 This anchor chart is by Joyful Learning in KC. 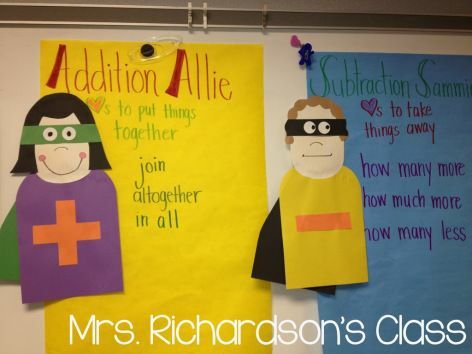 Introducing addition and subtraction can be tricky, but not when you create superhero stories and math anchor charts to accompany the concepts! 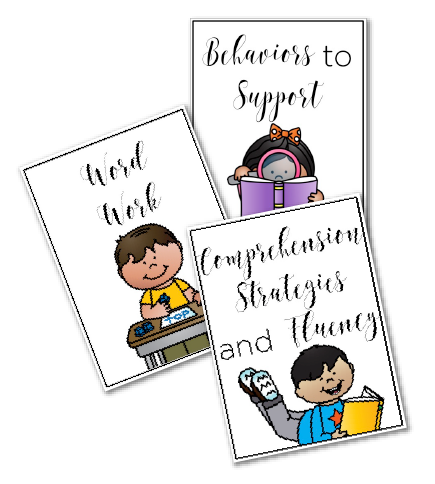 Read more about these anchor charts here. 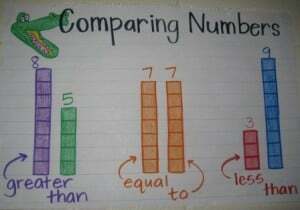 I love the visual shown here with this Comparing Numbers Anchor Chart by Skinned Knees and Shoelaces. 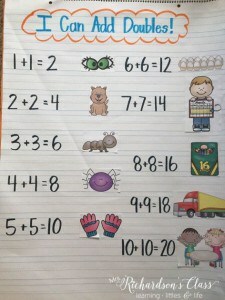 Skip counting is now commonly taught as number patterns. 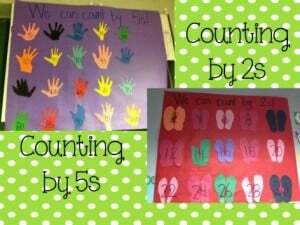 We I first introduced it, we would use our fingers to represent sets of 5s and our feet to represent sets of 2s. 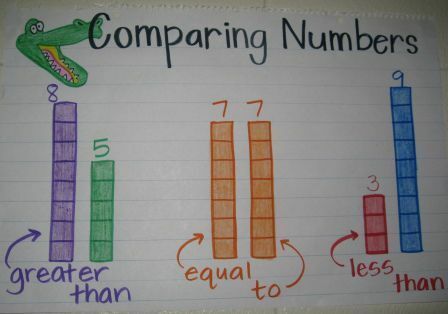 These anchor charts were always a blast to make and it helped students remember this little trick, no matter what number they began with. 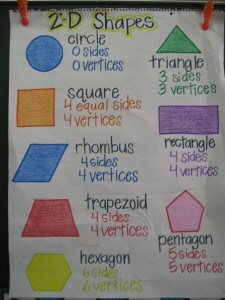 Attributes of shapes can be tricky to remember and this math anchor chart by Skinned Knees and Shoelaces has it all! It’s nice to be able to compare and contrast the shapes having all of the information in one place. 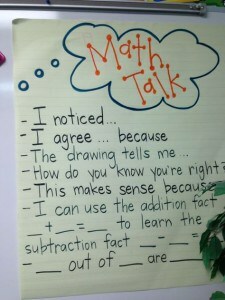 Math talks were introduced to me many years ago and I never did them enough! I really thought this math anchor chart by First Grade Kate was powerful because it provides sentence stems for students to refer to during math talk time. If you are looking for more great anchor charts, be sure to follow my Anchor Charts for K-2 Pinterest board! These are great! Just what I was looking for!! Thank you. I loved your ‘9 must have anchor charts’ post on Pinterest. Thanks for sharing this quality idea/summary. i would like to learn how? to make all these can you teach me?